Manual Transfer Carts are used with roller equipped type stands to eliminate overhead lifting operations by allowing the user to roll forklift batteries from one unit to another. 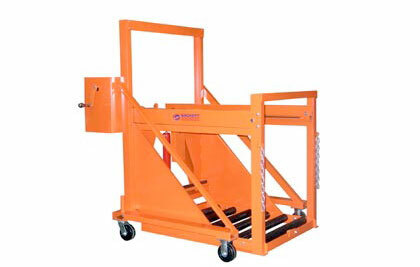 All Sackett’s Manual Transfer Carts pull the forklift battery completely onto the cart. No extra handling is needed. Battery Compartment Rollers are available to modify most non-roller type trucks.